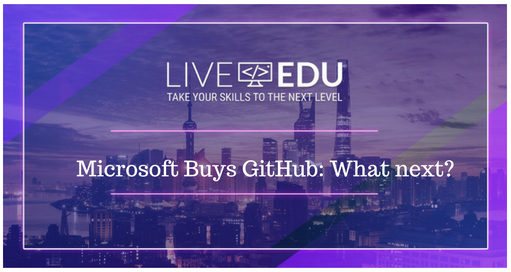 On June 4, 2018, Microsoft confirmed that it is going to buy GitHub, the world’s leading platform for hosting open source projects. The acquisition news sent cold chills across the developer community, with many expressing disquiet at the infringement of the corporate company on open source affairs. So, what is the future of GitHub? Will Microsoft uphold the platform’s core values? Is this the beginning of the end of GitHub? Since its establishment in 2008, GitHub has grown to be the biggest host of source code in the world. The website has more than 28 million users and 85 million code repositories pushed by developers in almost every country. Google, Microsoft, Amazon, Apple, and other big technology companies depend on GitHub for collaboration and creating software. In fact, Microsoft is the most active company on the platform, with more than two million commits under its name. However, despite its successes, the website has been silently going through some difficulties. GitHub was not making profits and it has been looking for a CEO for close to one year now. Therefore, Microsoft’s acquisition eases GitHub’s woes and offers the stability it needs to move forward. Microsoft will fork $7.5 billion in stock in the deal, which is significantly higher than GitHub’s valuation of $2 billion back in 2015. The acquisition is set to complete later this year. Although the move could stabilize GitHub and move it to profitability, the open source community is already expressing disappointments and anger. So, why so much cold chills? GitHub users are already concerned that Microsoft’s involvement in the platform could undermine the core values of the open source ecosystem and mar developers that depend on it. Hundreds of developers on social media pointed at the dark past of Microsoft in dealing with open source tools, something which has come back to haunt the tech giant. Some of the worries that developers expressed include the possibility of Microsoft beginning telemetry program on GitHub, the company’s past abuses of open source tenets, and its botched buyout of Skype and Nokia’s handset business. Some developers have also pointed out that Microsoft shut down CodePlex, a website which allowed shared development of open source projects. “If it could not run CodePlex successfully, what’s the assurance that it would run GitHub without any issues,” they asked. There is even a petition, which aims to prevent Microsoft from assuming control over the popular code repository. As of June 6, 2018, just two days after the official announcement, more than 1,500 people had signed the petition. On its part, Microsoft has come out to dispel the developers’ concerns. The company’s CEO, Satya Nadella, has emphasized that the move is aimed at empowering developers. In a blog post, Nadella said that the acquisition will enable Microsoft to empower developers at each phase of the development lifecycle, rejuvenate enterprise developers’ utilization of the platform, and extend the reach of Microsoft’s developer tools. He confirmed that Microsoft is dedicated to being stewards of the GitHub community and maintaining its open source nature. Despite Microsoft’s assurance that it would maintain GitHub’s developer-first ethos, some developers are still not convinced and are moving to other code-hosting platforms like GitLab, BitBucket, and SourceForge. These competing platforms are already taking advantage of the ‘mess’ at GitHub and enticing developers to move their projects. For example, GitLab has reported an overwhelming increase in the number of developers migrating their repositories to the platform, an early signal of dissatisfaction in the developer community. Moving forward, Microsoft must treat this buyout with care. The company has wrestled with developer love for years, and this is its opportunity to turn things around. Nonetheless, time will tell whether GitHub will still be the GitHub we’ve known throughout the years. What do you think is the future of GitHub after this acquisition? Will the renowned code repository still stand on its two feet?